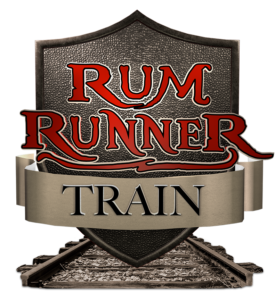 Join us aboard the Royal Palm Railway Experience Rum Rummer Train. Must be 21 years of age to participate! 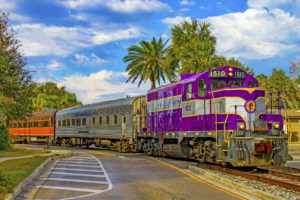 Three departures Friday night from Mount Dora at 6:00 PM, 7:00 PM and 8:00 PM from the historic train station at the Mount Dora Area Chamber of Commerce. There may be Pirates on the train. Sample 5 flavors of Florida hand-crafted rum by Code Rum. 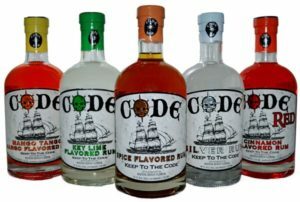 Code Rum is a true small batch, pot still, Florida Handcrafted Rum. The smooth flavor profiles consist of a Spiced, Key Lime, Mango, Cinnamon, Silver and our limited edition Commodore’s Cut. A barrel aged dark rum. We feel we have created the smoothest, most delicious rums on the market!